BEASAIN S.D. 1 - 2 ANTIGUOKO K.E. AMOREBIETA S.D. 0 - 1 INDARTSU C.
LOYOLA INDAUCHU C. 1 - 2 BARAKALDO C.F. SANTUTXU F.C. 2 - 0 CULTURAL DEPORTIVA DURANGO S.
HERNANI C.D. 0 - 0 REAL SOCIEDAD S.A.D. ANTIGUOKO K.E. 3 - 3 ZARAUTZ K.E. DANOK BAT CLUB DE FIKA 1 - 1 BEASAIN S.D. ATHLETIC CLUB 2 - 0 AMOREBIETA S.D. BARAKALDO C.F. 0 - 0 ARENAS C.
CULTURAL DEPORTIVA DURANGO S. 0 - 1 LOYOLA INDAUCHU C.
REAL SOCIEDAD S.A.D. 3 - 3 SANTUTXU F.C. LAGUN ONAK C.D. 1 - 3 HERNANI C.D. BEASAIN S.D. 4 - 1 INDARTSU C.
AMOREBIETA S.D. 1 - 0 BARAKALDO C.F. ARENAS C. 2 - 2 CULTURAL DEPORTIVA DURANGO S.
LOYOLA INDAUCHU C. 0 - 6 REAL SOCIEDAD S.A.D. SANTUTXU F.C. 0 - 3 LAGUN ONAK C.D. ZARAUTZ K.E. 5 - 4 HERNANI C.D. DANOK BAT CLUB DE FIKA 2 - 0 ZARAUTZ K.E. INDARTSU C. 0 - 1 ANTIGUOKO K.E. ATHLETIC CLUB 7 - 0 BEASAIN S.D. CULTURAL DEPORTIVA DURANGO S. 5 - 1 AMOREBIETA S.D. REAL SOCIEDAD S.A.D. 4 - 1 ARENAS C.
LAGUN ONAK C.D. 4 - 0 LOYOLA INDAUCHU C.
HERNANI C.D. 1 - 1 SANTUTXU F.C. DANOK BAT CLUB DE FIKA 2 - 2 INDARTSU C.
BEASAIN S.D. 1 - 1 BARAKALDO C.F. REAL UNION CLUB SAD 0 - 0 CULTURAL DEPORTIVA DURANGO S.
AMOREBIETA S.D. 2 - 2 REAL SOCIEDAD S.A.D. ARENAS C. 5 - 2 LAGUN ONAK C.D. LOYOLA INDAUCHU C. 0 - 6 HERNANI C.D. ZARAUTZ K.E. 0 - 1 SANTUTXU F.C. INDARTSU C. 0 - 1 ZARAUTZ K.E. LAGUN ONAK C.D. 1 - 1 AMOREBIETA S.D. HERNANI C.D. 2 - 0 ARENAS C.
SANTUTXU F.C. 0 - 0 LOYOLA INDAUCHU C.
DANOK BAT CLUB DE FIKA 1 - 0 BARAKALDO C.F. ANTIGUOKO K.E. 4 - 0 CULTURAL DEPORTIVA DURANGO S.
REAL UNION CLUB SAD 3 - 2 LAGUN ONAK C.D. AMOREBIETA S.D. 0 - 2 HERNANI C.D. ARENAS C. 2 - 1 SANTUTXU F.C. ZARAUTZ K.E. 1 - 0 LOYOLA INDAUCHU C.
BARAKALDO C.F. 0 - 3 INDARTSU C.
SANTUTXU F.C. 0 - 2 AMOREBIETA S.D. LOYOLA INDAUCHU C. 3 - 3 ARENAS C.
ATHLETIC CLUB 7 - 2 BARAKALDO C.F. INDARTSU C. 2 - 0 CULTURAL DEPORTIVA DURANGO S.
DANOK BAT CLUB DE FIKA 0 - 2 REAL SOCIEDAD S.A.D. ANTIGUOKO K.E. 3 - 2 LAGUN ONAK C.D. REAL UNION CLUB SAD 2 - 1 SANTUTXU F.C. AMOREBIETA S.D. 1 - 1 LOYOLA INDAUCHU C.
ZARAUTZ K.E. 0 - 2 ARENAS C.
REAL SOCIEDAD S.A.D. 2 - 2 INDARTSU C.
HERNANI C.D. 2 - 1 ANTIGUOKO K.E. SANTUTXU F.C. 0 - 0 BEASAIN S.D. ARENAS C. 1 - 1 AMOREBIETA S.D. BARAKALDO C.F. 3 - 2 CULTURAL DEPORTIVA DURANGO S.
INDARTSU C. 3 - 2 LAGUN ONAK C.D. DANOK BAT CLUB DE FIKA 1 - 3 HERNANI C.D. ANTIGUOKO K.E. 3 - 0 SANTUTXU F.C. BEASAIN S.D. 4 - 0 LOYOLA INDAUCHU C.
REAL UNION CLUB SAD 3 - 0 ARENAS C.
ZARAUTZ K.E. 3 - 0 AMOREBIETA S.D. CULTURAL DEPORTIVA DURANGO S. 1 - 3 ZARAUTZ K.E. HERNANI C.D. 2 - 1 INDARTSU C.
LOYOLA INDAUCHU C. 1 - 1 ANTIGUOKO K.E. ARENAS C. 2 - 0 BEASAIN S.D. CULTURAL DEPORTIVA DURANGO S. 2 - 4 REAL SOCIEDAD S.A.D. BARAKALDO C.F. 0 - 1 LAGUN ONAK C.D. ATHLETIC CLUB 6 - 1 HERNANI C.D. INDARTSU C. 0 - 2 SANTUTXU F.C. DANOK BAT CLUB DE FIKA 0 - 2 LOYOLA INDAUCHU C.
ANTIGUOKO K.E. 2 - 2 ARENAS C.
BEASAIN S.D. 2 - 2 AMOREBIETA S.D. ZARAUTZ K.E. 1 - 5 REAL SOCIEDAD S.A.D. LAGUN ONAK C.D. 2 - 0 CULTURAL DEPORTIVA DURANGO S.
HERNANI C.D. 3 - 0 BARAKALDO C.F. LOYOLA INDAUCHU C. 0 - 2 INDARTSU C.
AMOREBIETA S.D. 5 - 0 ANTIGUOKO K.E. CULTURAL DEPORTIVA DURANGO S. 2 - 3 HERNANI C.D. BARAKALDO C.F. 1 - 1 SANTUTXU F.C. ATHLETIC CLUB 4 - 1 LOYOLA INDAUCHU C.
INDARTSU C. 1 - 0 ARENAS C.
DANOK BAT CLUB DE FIKA 1 - 2 AMOREBIETA S.D. ANTIGUOKO K.E. 3 - 4 BEASAIN S.D. INDARTSU C. 2 - 3 AMOREBIETA S.D. 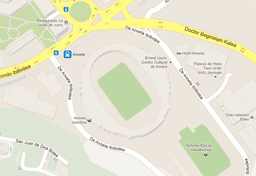 ATHLETIC CLUB 6 - 3 ARENAS C.
BARAKALDO C.F. 1 - 1 LOYOLA INDAUCHU C.
CULTURAL DEPORTIVA DURANGO S. 1 - 0 SANTUTXU F.C. LAGUN ONAK C.D. 1 - 1 ZARAUTZ K.E. REAL UNION CLUB SAD 0 - 3 INDARTSU C.
ARENAS C. 0 - 0 BARAKALDO C.F. LOYOLA INDAUCHU C. 3 - 0 CULTURAL DEPORTIVA DURANGO S.
HERNANI C.D. 3 - 0 LAGUN ONAK C.D. DANOK BAT CLUB DE FIKA 3 - 3 ANTIGUOKO K.E. INDARTSU C. 1 - 2 BEASAIN S.D. BARAKALDO C.F. 2 - 2 AMOREBIETA S.D. CULTURAL DEPORTIVA DURANGO S. 0 - 2 ARENAS C.
REAL SOCIEDAD S.A.D. 2 - 2 LOYOLA INDAUCHU C.
LAGUN ONAK C.D. 1 - 2 SANTUTXU F.C. ANTIGUOKO K.E. 1 - 1 INDARTSU C.
REAL UNION CLUB SAD 0 - 2 BARAKALDO C.F. AMOREBIETA S.D. 1 - 1 CULTURAL DEPORTIVA DURANGO S.
ARENAS C. 2 - 0 REAL SOCIEDAD S.A.D. LOYOLA INDAUCHU C. 3 - 2 LAGUN ONAK C.D. SANTUTXU F.C. 2 - 3 HERNANI C.D. BARAKALDO C.F. 1 - 2 BEASAIN S.D. REAL SOCIEDAD S.A.D. 3 - 0 AMOREBIETA S.D. LAGUN ONAK C.D. 3 - 1 ARENAS C.
HERNANI C.D. 3 - 1 LOYOLA INDAUCHU C.
SANTUTXU F.C. 1 - 2 ZARAUTZ K.E. ZARAUTZ K.E. 0 - 1 INDARTSU C.
ANTIGUOKO K.E. 2 - 2 BARAKALDO C.F. BEASAIN S.D. 0 - 1 CULTURAL DEPORTIVA DURANGO S.
AMOREBIETA S.D. 1 - 1 LAGUN ONAK C.D. ARENAS C. 0 - 0 HERNANI C.D. LOYOLA INDAUCHU C. 1 - 1 SANTUTXU F.C. ATHLETIC CLUB 3 - 0 INDARTSU C.
CULTURAL DEPORTIVA DURANGO S. 1 - 2 ANTIGUOKO K.E. HERNANI C.D. 2 - 0 AMOREBIETA S.D. SANTUTXU F.C. 2 - 3 ARENAS C.
LOYOLA INDAUCHU C. 3 - 0 ZARAUTZ K.E. INDARTSU C. 1 - 2 BARAKALDO C.F. DANOK BAT CLUB DE FIKA 2 - 1 CULTURAL DEPORTIVA DURANGO S.
AMOREBIETA S.D. 1 - 1 SANTUTXU F.C. ARENAS C. 2 - 0 LOYOLA INDAUCHU C.
CULTURAL DEPORTIVA DURANGO S. 0 - 0 INDARTSU C.
LAGUN ONAK C.D. 3 - 4 ANTIGUOKO K.E. LOYOLA INDAUCHU C. 2 - 2 AMOREBIETA S.D. ARENAS C. 2 - 1 ZARAUTZ K.E. ZARAUTZ K.E. 1 - 1 BARAKALDO C.F. ATHLETIC CLUB 4 - 1 CULTURAL DEPORTIVA DURANGO S.
INDARTSU C. 0 - 0 REAL SOCIEDAD S.A.D. DANOK BAT CLUB DE FIKA 2 - 0 LAGUN ONAK C.D. ANTIGUOKO K.E. 0 - 0 HERNANI C.D. BEASAIN S.D. 1 - 2 SANTUTXU F.C. REAL UNION CLUB SAD 0 - 1 LOYOLA INDAUCHU C.
AMOREBIETA S.D. 1 - 2 ARENAS C.
CULTURAL DEPORTIVA DURANGO S. 2 - 1 BARAKALDO C.F. LAGUN ONAK C.D. 2 - 1 INDARTSU C.
LOYOLA INDAUCHU C. 1 - 3 BEASAIN S.D. ZARAUTZ K.E. 1 - 1 CULTURAL DEPORTIVA DURANGO S.
ATHLETIC CLUB 6 - 1 LAGUN ONAK C.D. INDARTSU C. 3 - 2 HERNANI C.D. DANOK BAT CLUB DE FIKA 1 - 1 SANTUTXU F.C. ANTIGUOKO K.E. 1 - 1 LOYOLA INDAUCHU C.
BEASAIN S.D. 0 - 1 ARENAS C.
REAL UNION CLUB SAD 1 - 1 AMOREBIETA S.D. REAL SOCIEDAD S.A.D. 3 - 0 CULTURAL DEPORTIVA DURANGO S.
LAGUN ONAK C.D. 1 - 1 BARAKALDO C.F. SANTUTXU F.C. 3 - 2 INDARTSU C.
ARENAS C. 2 - 2 ANTIGUOKO K.E. AMOREBIETA S.D. 1 - 2 BEASAIN S.D. REAL UNION CLUB SAD 1 - 2 ZARAUTZ K.E. REAL SOCIEDAD S.A.D. 5 - 2 ZARAUTZ K.E. CULTURAL DEPORTIVA DURANGO S. 1 - 4 LAGUN ONAK C.D. BARAKALDO C.F. 5 - 0 HERNANI C.D. ATHLETIC CLUB 6 - 2 SANTUTXU F.C. INDARTSU C. 0 - 2 LOYOLA INDAUCHU C.
DANOK BAT CLUB DE FIKA 0 - 1 ARENAS C.
ANTIGUOKO K.E. 1 - 2 AMOREBIETA S.D. HERNANI C.D. 3 - 1 CULTURAL DEPORTIVA DURANGO S.
SANTUTXU F.C. 0 - 2 BARAKALDO C.F. ARENAS C. 0 - 2 INDARTSU C.
ZARAUTZ K.E. 3 - 0 BEASAIN S.D.